Congratulations to Sugarloaf Member Brenda Tibbs - AOPA's Best Flight Instructor 2016! Brenda Tibbs was selected by the Aircraft Owners and Pilots Association as the best flight instructor in the country in 2016. 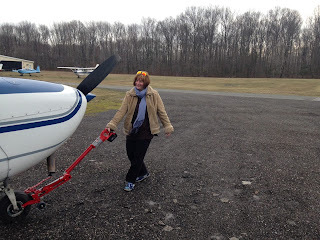 She is shown with a Cessna 172 aircraft she teaches with at Frederick Municipal Airport. Tempe Huscha thinks her grandmother flies all the planes. In fact, the first time the 4-year-old saw a plane in the sky and was in the same room as her grandmother, Brenda Tibbs, Tempe looked at her grandmother with a face of confusion. “She didn’t know what was going on,” Tibbs said. “My daughter tells me she always points and says it’s Grandma” in the sky. Tibbs doesn’t fly all the planes. But she’s earning quite the reputation for teaching people to fly them. 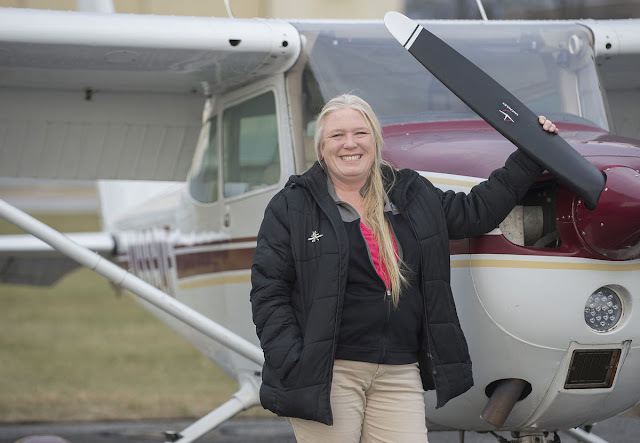 She was selected by the Aircraft Owners and Pilots Association as the best flight instructor in the country in 2016 for her Bravo Flight Training school at Frederick Municipal Airport. Tibbs started the business in the spring and officially opened in August. For the first couple of months, she operated out of her car, until she eventually leased three planes and one flight simulator to use for training. Her love of flying started when she went to an air show in Frederick, which left Frederick in 2003 and moved to Martinsburg, West Virginia. She was 32 at the time. The air show had a stand that offered introductory lessons, and she decided to sign up for them. She was hooked. It took a while for her to make the call that this is what she wanted to do, but she finally did it. Tibbs started working at the Airways Inn, the airport restaurant, in 2009 while she took classes to become an instructor. The job was a means to an end, and it gave her the flexibility to be around the planes as often as possible. But it was there that she met a group of women who introduced her to the Sugarloaf Ninety-Nines. The Ninety-Nines is an international organization of approximately 5,000 licensed pilots from 35 countries. The Ninety-Nines work to provide women more opportunities in aviation and provide networking and scholarship opportunities. Tibbs moved to two different flight schools, where she worked as a part-time instructor and eventually a full-time instructor. Before opening her business, she worked for the AOPA as an aviation technical specialist. Tibbs’ children, Randy and Rihannon, joke that their mom’s real goal is to work in every building at the airport. “If I become a state trooper I’ll be in good shape,” Tibbs quipped, referring to the Maryland State Police’s rescue helicopter, Trooper 3, based at the Frederick airport. Steve Richter credits Tibbs’ demeanor for making her such a successful flight instructor. Richter, who works as a banker and lives in Eldersburg, has been using Tibbs as his instructor since 2012. Tibbs was teaching at a different flight school at the time, but Richter immediately gravitated toward her. He used Tibbs as his private instructor to earn his private pilot certification. Now, as he strives to earn his commercial pilot’s license, he attends Bravo Flight Training for Tibbs’ instruction. Tibbs is easygoing, but also demanding of Richter. She demands perfection of her students, and Richter likes that. Richter cast his vote for Tibbs as instructor of the year. “I know that if I pass by her standards, then I am going to exceed the minimum standards for any test I go to take,” Richter said. Despite the high standards, Richter still feels like he can joke around with Tibbs. He recalls a time he was preparing to fly and tried to move the plane forward, but the plane wouldn’t move. Tibbs had her foot on the brake. So, Richter lightheartedly smacked her on the knee. Tibbs has also worked to foster a sense of community among her students. Because flight schools can take from a month for tremendously dedicated students to years for people taking their time, building relationships is an important aspect of being a good instructor. She offers her students tours of the control towers at the airport. She also brings in pilot examiners to come talk to students to ease the pressure of exams. She has even organized flights with her students to go to breakfasts and lunches throughout the state. Follow Allen Etzler on Twitter: @AllenWEtzler. Merry Christmas From The Sugarloaf 99s! Warm wishes to all -- enjoy all holidays being celebrated, stay warm, and congratulations to our newest instrument rated chapter member Carol G!!! -- maybe she'll help us navigate the new Instrument Landing System (ILS) approach posted at Frederick Airport for Christmas this year -- the Chimney Z -- but heed the caution that its not applicable with naughty children! Carol -- did the examiner test you on Santa's hometown approach too? Ticket purchase required by Friday, Nov 11. Please bring your receipt for ease of event entry. Your receipt is your ticket. Paintings take roughly 2 hours to complete, so please arrive no later than 1:30 pm so you have time to settle in and secure your seats! Painting will begin promptly at 2:00 pm. Food and beverages can be purchased separately from Belles' Bar & Grille during the event, or if you plan on doing lunch, arrive a little earlier. Belles' has generously agreed to donate a portion of their sales to the cause. Please be sure to let them know that you are there supporting the event. $45 fee covers all the painting supplies needed to complete a 16 x 20” canvas panel. The canvas panels will be pre-drawn with the basic plane design. Our professional artist will walk you through the entire process. Beginners are most definitely welcome! Bring a friend (or two) and enjoy an afternoon of creativity and fun! Due to limited seating and planning for the supplies involved, tickets must be purchased in advance of the event and are non-refundable unless the event needs to be cancelled by Under the Horizon. The last day to purchase tickets will be November 11th at 5:00 pm. Under the Horizon Pottery and Arts Studio is pleased to present this Paint-Along Fundraiser on behalf of the Sugarloaf Chapter of the Ninety-Nines, Inc. This International Organization of Women Pilots will be hosting the Start of the Air Race Classic, an all-women's transcontinental air race in June 2017 at the Frederick Municipal Airport featuring over 50 race teams from all over the US and Canada. $15 of each ticket purchased will go directly to the Sugarloaf 99s. Funds raised from the event will be used to defray costs associated with this unique sporting event and to fund scholarships which they award each year to women pilots and student pilots. The Sugarloaf 99s is based at Frederick Airport and is a 501c3 organization. September 5 - Susan B. Earned her Commercial Rating! "Beyond The Powder" will be shown! July 25-31 - EAA Airventure - Oshkosh, WI. August 14 - Joy H. Earned her Private Pilot Certificate! 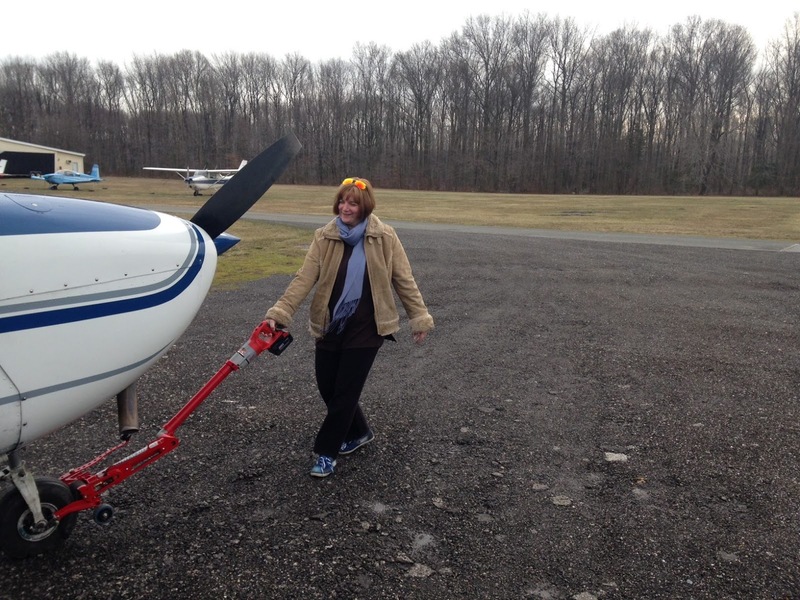 Sugarloaf's Joy Halcott Wins East Coast Private Pilots Scholarship! Congratulations to Joy - she now has additional funds to help her complete her flight training! "Our EAST COAST PRIVATE PILOTS FB group has raised money for student pilot awards ($500). Another $500 award will be at the end of the year and will be awarded to the winner of another student pilot. The first time I climbed into a cockpit I felt something click inside me. That's not to say it's easy. Learning to fly is one of the hardest things I have ever tried to do. Nevertheless, with every lesson, I feel like an addict as my capacity to learn gets pushed to its limits, and every time I land I'm hungry to know more, and go further. I have mainly financed my training and education personally thus far. I have completed several classroom courses with the CCBC Aviation Certificate Program. I have received a 4.0 GPA (including Ground School, Aviation History, and Flight Training), and received the highest grade in those classes. I passed my FAA Knowledge test on the first try. I am now more than $17,000, 1 year, 100 hours, 5 CFIs (due to airline advancement and health,) 3 planes (due to school's loss,) and multiple solos later. Cancellations due to weather, plane and CFI unavailability, and maintenance/loss of planes have prolonged my training, even with utilizing vacation time to schedule extra lessons. I am so close to finishing, and the biggest roadblock I face is finances. I am committed to continuing my training as long as I can, but I admit that I did not anticipate so many setbacks, or for my training to take so long to complete. I have gone over the amount I had saved in advance for my training. If I receive this scholarship, I know I can finish. I have been involved in charity work my entire life, and proudly co-founded a women-led 501c3 organization that still exists today. More recently, I have become involved in my local Civil Air Patrol, WAI, and joined the Essex Skypark Association. I also joined the Ninety-Nines, and designed a Facebook page for the local Maryland chapter prior to joining. If I receive this scholarship, I will finish my training. 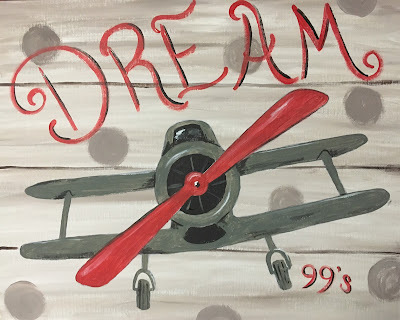 I will then continue to use my skills as a pilot through the Ninety-Nines and Civil Air Patrol to teach about aviation, encourage others to become pilots, and fly rescue missions. I also hope to one day become a CFI, and mentor other Ninety-Nines. Today I look back and realize if certain events had not taken place - if I had not faced down being broken, I never would have had the courage to be where I am today. The obstacles are great, as I have no idea how I will continue to afford flying, but somehow I will find a way. I will continue to learn, because I know who I am now. There is no going back, only forward. I am a Pilot. An audience at Visitation Academy watches a screening of “Beyond the Powder,” which explores the history of the first all-women’s cross-county air race. Kara Martinelli, director of the film “Beyond the Powder,” listens as her husband, Adam White, producer of the film, describes the project before a screening on Sunday at the all-girls school Visitation Academy in Frederick. 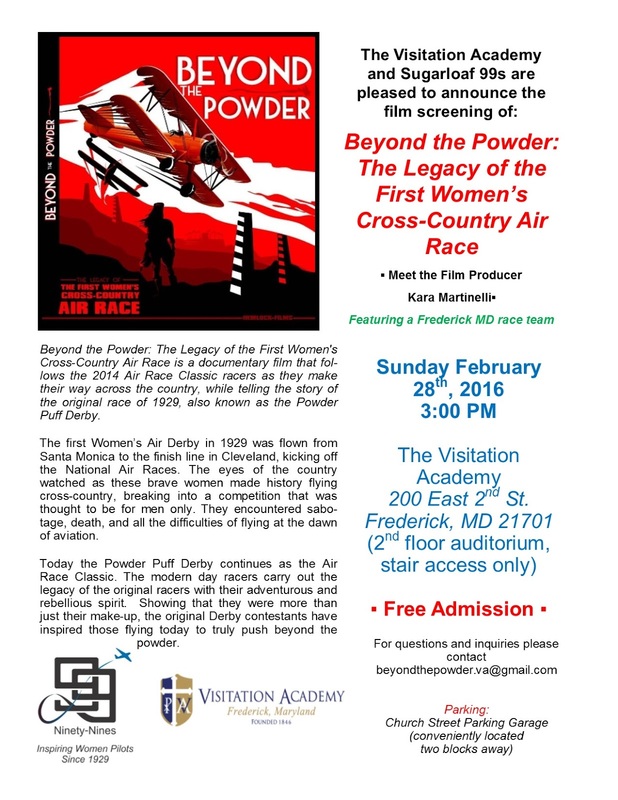 Visitation Academy hosted the Sugarloaf Ninety-Nines Inc. to screen the film about women in aviation, specifically the Powder Puff Derby and the Air Race Classic. Ninety-Nines Inc. is an international organization of women pilots. Producer Kara Martinelli and director Adam White, of Ohio, attended the event, which was meant to inspire an interest in aviation in young women. The showing was part of a continuing relationship between the Ninety-Nines Inc. and Visitation Academy, she said. In September, students participated in a day when they had the opportunity to take flights and learn more about aviation. Cantrel said because the school is all girls, the students are very serious and focused on their studies. She said it’s important that the girls are exposed to STEM areas so that they can consider pursuing a career in a field in which they might not otherwise realize they have opportunities. The best time to grab their attention is in the first, second and third grades, she said. Martinelli said she was inspired by many aviators’ stories but noticed that there were some that weren’t being told. Lin Caywood, membership director at Ninety-Nines Inc., was featured in the film as she participated in the 2014 Air Race Classic race. Caywood, a Frederick resident, said she began learning how to fly in her 30s and participated in the race in 2010, 2011, 2012 and 2014. “It was kind of something I had always wanted to do,” she said. It wasn’t until she was at a certain point in her life that she was able to pursue flight, she said. After completing a marathon in Alaska, she had been in a plane that landed on water, and after that she stopped running marathons and started learning how to fly, she said. About 6 percent of all certified pilots are women, Caywood said. Altamirano said Sophia had paid attention to the first half of the film before playing with her planes. At home, she pretends her hand is a plane, he said, so he thinks her interest in aviation could grow in the future. The film will be broadcast on PBS in June during the air race. Follow Brandi Bottalico on Twitter: @brandibot. The Mid-Atlantic Section meeting will be held April 1-3, 2016, in Fredericksburg, VA. Both the site and the time have been chosen to provide a significant experience for Mid-Atlantic Section members. Fredericksburg is a very significant Civil War site, as well as being the nearby location of George Washington’s birthplace. Sites in the Historic District include Revolution, Civil War, and Victorian styles. Additionally, the weekend chosen for our meeting is a “First Friday,” a date each month on which gallery openings, public entertainment and other activities are provided in the historic area from 6:00 to 9:30 PM. Details will be available in your welcoming package. Our Friday Night BBQ at the Shannon Airport is timed early so that members can participate in the “First Friday” activities. Early registration is encouraged. The Trolley Tour requires advanced booking (minimum of one month suggested) to assure availability. Early registration ends March 1. Late registration after March 1. Registration deadline March 15, 2016. Meeting hotel block being held until 3/1/2016. Alternate hotel block (5 miles from meeting hotel with your own transportation) being held until 3/17/2016. Sugarloaf Members Featured in Baltimore Style Magazine!!! Wow - what a great article!!! And CAP Member / Budding Pilot Jordan, who took her first GA flight in ARC Race Teams Plane "Freakin Awesome" is the Cover Girl! Congrats to all of ladies for representing us!